January 10, 2018 – United Launch Alliance (ULA) has issued its request for proposals for the annual ULA and Ball Aerospace Student Rocket Launch. To celebrate the event’s 10th anniversary, K-12 teams can design, build and operate a payload to guide it to a designated ground-based target for a chance to win up to $5,000 for their school or sponsoring nonprofit. 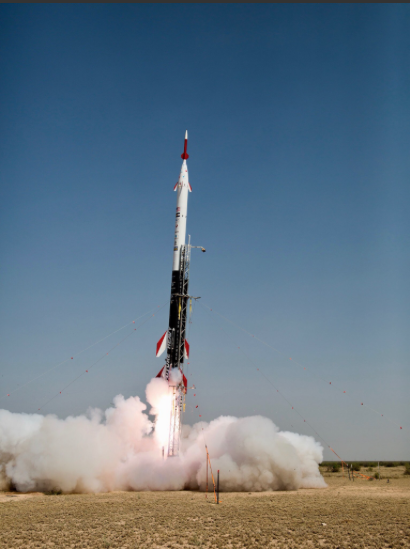 The 2018 Student Rocket Launch, tentatively scheduled for July 2018 in Colorado, is part of a unique program offering hands-on experience working with rockets and payloads to students from kindergarten through graduate school. ULA intern volunteers design, build and refurbish the high-power sport rocket – dubbed “Future Heavy” – while volunteer interns from Ball Aerospace and K-12 students design and build payloads that launch on the rocket. Teams can download the request for proposal at www.ulalaunch.com/intern-rocket-payload.aspx. Interested teams should notify ULA of their interest as soon as possible; the deadline to submit is January 31, 2018. In order to mimic real launches where boosters land in the ocean and to add some complexity to the competition, the single stage Future Heavy is planned to be launched over a reservoir so teams will have to find creative solutions to successfully recover their payloads in spite of the water obstacle. The payloads will launch on the ULA intern-built Future Heavy, a 41-foot-tall high-power sport rocket. It will fly to approximately 2,500 feet above the ground, where it will release up to 23 payloads. Ten payloads can compete for the cash prizes and will need to meet special competition requirements; the other payloads will be reserved for teams who want to fly payloads but not compete for the prize.